Motorola introduces the new Moto Z3 Play, a mid-range mobile with a screen that grows to six inches . Inside we find a Snapdragon 636 processor and double camera is added in the back. Despite these new additions, we still maintain an ultra-thin body, where the fingerprint reader has been placed on the side . After several leaks , finally we officially know the Moto Z3 Play. Motorola is still betting on MotoMods , complementary accessories to provide more battery, better connectivity or better photographic quality. A different bet than what we are used to. Let’s go to see her. 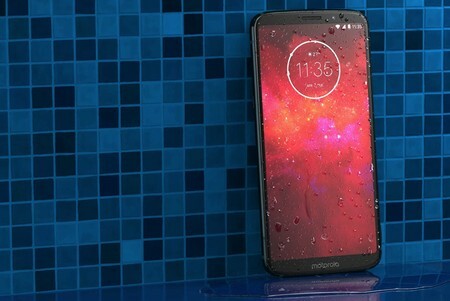 The Motorola Moto Z3 Play goes up to 6.01 inches with a SuperAMOLED technology panel and an 18: 9 format . We do not have ‘notch’, but frames are quite small and a screen ratio of 79% is achieved. A theoretical number but that advances a fairly compact device despite its size. Design is surely one of its distinguishing points. We have a glass cover, metal frames, splash resistant and a thickness of only 6.75mm . For its part, the fingerprint reader has been placed on the side in a place that reminds us where the Sony readers were located. Why does Motorola recover this position? Mainly so as not to lose access to the reader even if the different accessories are attached. Inside we have a Snapdragon 636 processor with 4GB of RAM. For storage we start with 32GB and with a version of up to 64GB. For the battery we have 3,000 mAh and fast charge TurboPower via USB type C and a 15W charger. As we see, a mobile that is located in the mid-range but with a quite unique design. For the photographic section we have a double rear camera with a main sensor of 12 megapixels and an aperture lens f / 1.7 . The secondary sensor is five megapixels and we will have access to portrait mode, in addition to having 1.4um pixels to capture more light. In video we have recording at 4K and 30fps and for the front camera an 8 megapixel camera is added , with an aperture lens f / 2.0 and an angle of 84 degrees . 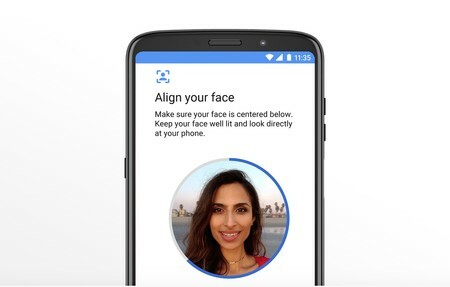 A camera that will also help us unlock the device with the face. Android 8.1 Oreo is the version chosen by Motorola for its mid-range, although we do not have a customization layer. Although it is true that some applications are added such as Moto Display or Moto Actions, where gestures are added to improve usability. 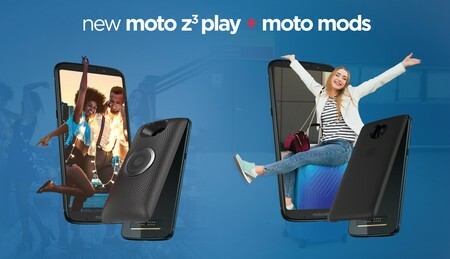 The new Moto Z3 Play is compatible with Moto Mods, among which we find several like the Moto Stereo Speaker , to improve the sound and the Moto Power Pack to extend up to 40 hours of battery. Despite this we do not have new exclusive MotoMods for the Z3 Play as it is expected that the future Moto Z3 will also be compatible with these accessories, although in the case of the MotoMods battery and sound will be released promotionally next to the Moto Z3 Play. The Moto Z3 Play is already available in Brazil at a price of 2,299 Brazilian reais, about 510 euros a change that will surely translate into some 499 euros. In the rest of the world it will be sold during the next weeks, so we will update as soon as its availability is announced. This price includes the Moto Mod battery , so we must take into account that the device separately would be slightly cheaper. In Europe it will be sold this summer with the Moto Power Pack.